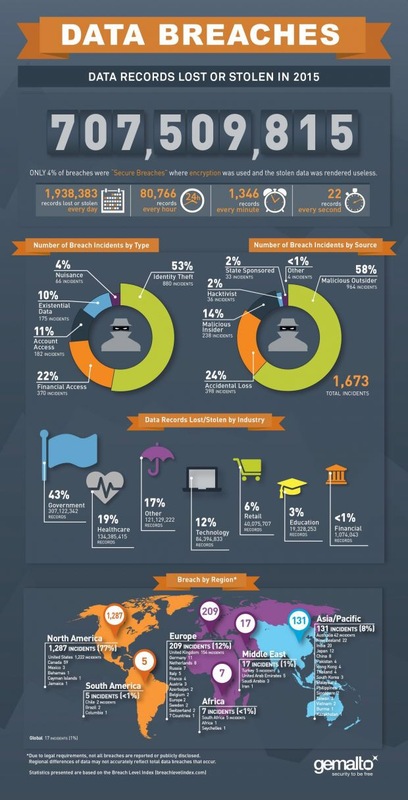 During the past twelve months, Gemalto’s researchers observed and inventoried 1,673 data breaches that leaked in total over 707 million data records. Worried about your Cybersecurity? Contact us at info@zerofailse.com. Stands for “World Wide Web.” It is important to know that this is not a synonym for the Internet. The World Wide Web, or just “the Web,” as ordinary people call it, is a subset of the Internet. The Web consists of pages that can be accessed using a Web browser. The Internet is the actual network of networks where all the information resides. Things like Telnet, FTP, Internet gaming, Internet Relay Chat (IRC), and e-mail are all part of the Internet, but are not part of the World Wide Web. The Hyper-Text Transfer Protocol (HTTP) is the method used to transfer Web pages to your computer. With hypertext, a word or phrase can contain a link to another Web site. All Web pages are written in the hyper-text markup language (HTML), which works in conjunction with HTTP. The webmaster is the person in charge of maintaining a Web site. The jobs of a webmaster include writing HTML for Web pages, organizing the Web site’s structure, responding to e-mails about the Web site, and keeping the site up-to-date. On some Web sites you might see a phrase that says, “send dead links and other Web site problems to webmaster@domainame.com.” At times, being a webmaster can be a rather arduous job. I received some dead links in the mail one time, and let me tell you, it wasn’t pretty. A website, or Web site, is not the same thing as a Web page. Though the two terms are often used interchangeably, they should not be. So what’s the difference? To put it simply, a Web site is a collection of Web pages. For example, Amazon.com is a Web site, but there are millions of Web pages that make up the site. Knowing the difference between these two terms can save you a lot of embarrassment. A Web ring is a way of interlinking related Web sites so that people can visit many similar Web sites by just following the “Web ring” link on each page. Most Web rings allow people to browse backwards or forwards through the sites in the ring, or choose to visit individual sites from a list. The rings are typically run from a main site which uses a Web scripting application to select random sites and keep the ring up to date. This includes getting rid of outdated pages and links, and adding new ones. There are tens of thousands of Web rings for topics like football, cars, celebrities, computers, TV shows, etc. You can tell if a Web page is part of Web ring if on the bottom of the page it has some huge, obtrusive, off-color, button linking to other sites in the ring. Stands for “Wide Area Network.” It is similar to a Local Area Network (LAN), but it’s a lot bigger. Unlike LANs, WANs are not limited to a single location. Many wide area networks span long distances via telephone lines, fiber optic cables, or satellite links. They can also be composed of smaller LANs that are interconnected. The Internet could be described as the biggest WAN in the world. You could even call the Internet a Super WAN BAM if you wanted to. Or maybe not. Stands for “Wide Area Information Server.” This is a program that can index enormous amounts of information and make it searchable across large networks (including the Internet). People can search the WAIS index and it will return results by relevance. Searches can then be narrowed down by subsequent searches on the original results. Search engines are a new and improved version of WAIS, specifically for the Web. Stands for “Virtual Reality Modeling Language.” If you think this has something to do with HTML, you’re right. While HTML is the format for Web page production, VRML is a 3D navigation specification, which enables the creation of interactive 3D Web sites. With VRML, visitors can take virtual tours through buildings and view three-dimensional models of cars directly from their Web browsers. Though the technology was created by Silicon Graphics and Intervista Software a number of years ago, it still is not widely used. Stands for “Video Random Access Memory” and is pronounced “V-RAM.” System RAM is great for loading and running programs, but when you need graphics power, VRAM is where it’s at. This is the memory used to store image data that the computer displays; it acts as a buffer between the CPU and the video card. When a picture is to be displayed on the screen, the image is first read by the processor and then written to the VRAM. The data is then converted by a RAM digital-to-analog converter (RAMDAC) into analog signals that are sent to the display. Of course, the whole process happens so quickly, you don’t notice it. Unlike most system RAM, VRAM chips are dual-ported, which means that while the display is reading from VRAM to refresh the currently displayed image, the processor is writing a new image to the VRAM. This prevents the display from flickering between the redrawing of images. There are many different types of VRAM. One popular kind is called Synchronous Graphics RAM (SGRAM). It is an inexpensive type of RAM that is clock-synchronized. This means data can be modified in a single operation rather than as a sequence of read, write, and update operations. This allows background, foreground, and image fills to be handled more efficiently. Another type of VRAM is Rambus Dynamic RAM (RDRAM). It is designed by Rambus and includes a proprietary Rambus bus that speeds up the transfer of data through it. Video editing pros like this chip since it is optimized for video streaming. A third type of VRAM is Window RAM (WRAM). This high-performance VRAM is dual-ported, has about 25% more bandwidth than standard VRAM, and typically costs less. Finally, there is Multibank Dynamic RAM (MDRAM). This is also high-performance VRAM, developed by MoSys, which divides the memory into divisions of 32 KB that can be accessed individually. This makes memory transfers more efficient and increases overall performance. Another advantage of MDRAM is that it can be manufactured with just the right amount of memory for a given resolution, so it is cheaper to manufacture than most other types of VRAM. Private Network” (not a successor to the UPN television network). VPN is a network term that most computer users don’t need to know, but at least you can impress your friends by talking about it. A virtual private network is “tunneled” through a wide area network WAN such as the Internet. This means the network does not have to be located in one physical location like a LAN. However, by using encryption and other security measures, a VPN can scramble all the data sent through the wide area network, so the network is “virtually” private.